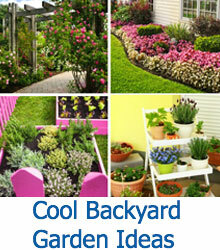 Use any planters that you have laying around and create your own water fountains made from planters. 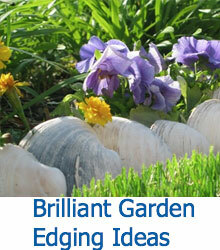 We've compiled a few ideas that you will like. There’s nothing quite like sitting outside on your patio and hearing the soft trickle of water down a surface and into a reservoir below. 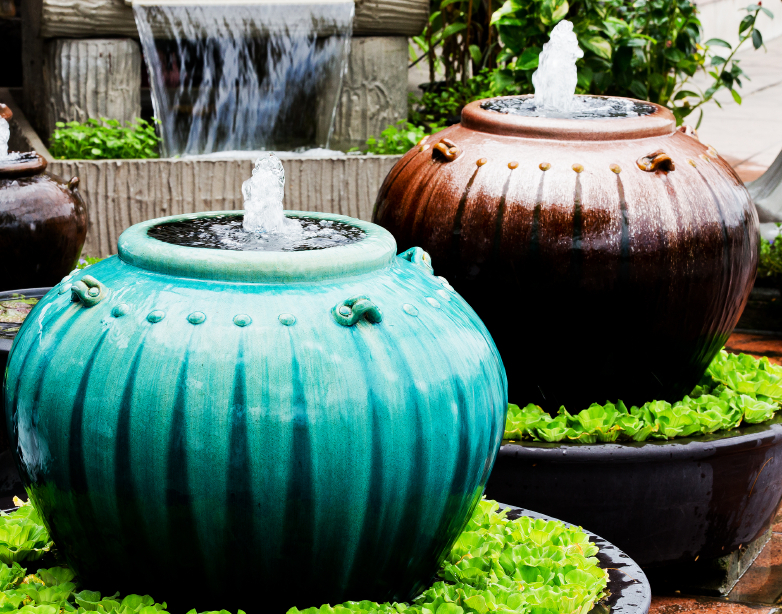 Water features, including ponds, waterfalls, and especially fountains, are a great way to add a luxurious atmosphere to your patio or garden. They not only provide a great visual accent piece to any garden, they also provide you with ambient noise that helps block out some of the sound of neighbors or cars driving by. Of course, large pre-built fountains or having one custom made can get very, very pricey quickly. So why not build your own? You’ll find that it’s a project worth undertaking–you’ll get a great sense of satisfaction from finishing this project and sitting down beside it on a summer’s day. If you live in a colder area, we recommend picking a project that will be easy to disassemble and take indoors during the colder months. It wouldn’t do to have your water pump freeze and destroy all of your hard work! We’ve assembled a wide variety of fantastic projects and products you won’t want to miss. So let’s get inspired! This small fountain is perfect to go on your tabletop and features a variety of differently sized planters to create the display. At the top is another planter with trailing vines, adding a bold green to the orange of the terra cotta. Stones are scattered throughout the display for the water to splash against, making the ambient sounds we love. An enormous urn is a great base for a water fountain since it adds a lot of height from the start. From there, smaller urns are stacked inside the rock-filled base. Instead of water trickling down the stones, a large center fountain rains water down all the way around the urn, which is constantly recycled. 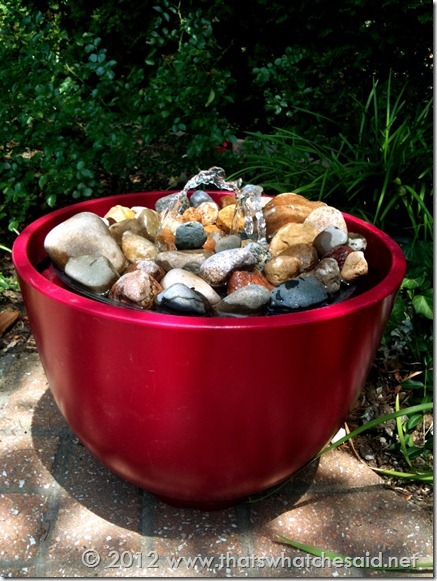 This colorful, shiny fountain looks just as perfect nestled in a garden plot as it does on a patio. The three tiers are topped by a center fountain. The water runs down the top two tiers back into the bottom reservoir, where it is recycled upwards to the fountain again. 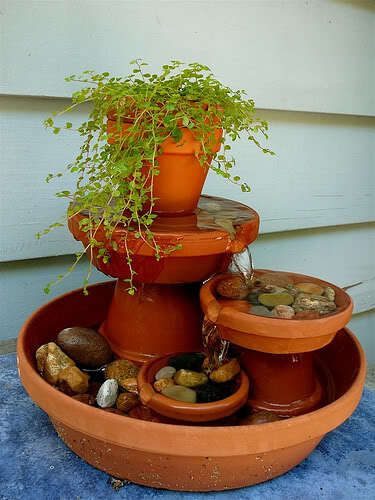 This is a very simple fountain made out of two terra cotta planters. The bottom is much larger than the top, which is set nearly sideways so that the water can seep out and back into the bottom. This is a very quiet fountain, perfect for owners living in a very quiet area. This is a beautiful planter, as we can see from the matching smaller ones surrounding the fountain. A central fountain sprays water high into the air, which comes back down in arches into the rock-filled reservoir. This is a single-tiered fountain that is perfect in tall, wide planters, since you won’t have any other tiers to give it more height. 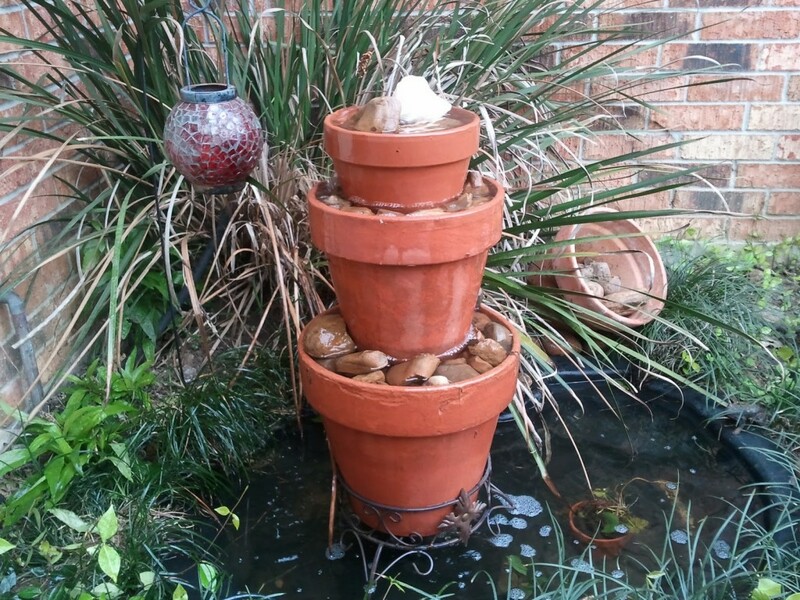 This is a simple tiered terra cotta fountain positioned above a small fish pond below. The pots are held just above the water by a tall planter holder positioned in the bottom reservoir. Planted all around the reservoir are thick, lush water-tolerant plants. This is a great project to use your old wine bottles with. The bottom reservoir is an old whiskey or wine barrel, the center, which resembles a wine bucket, is made from a tall planter that narrows at the bottom. White stones fill the top tier to resemble ice. 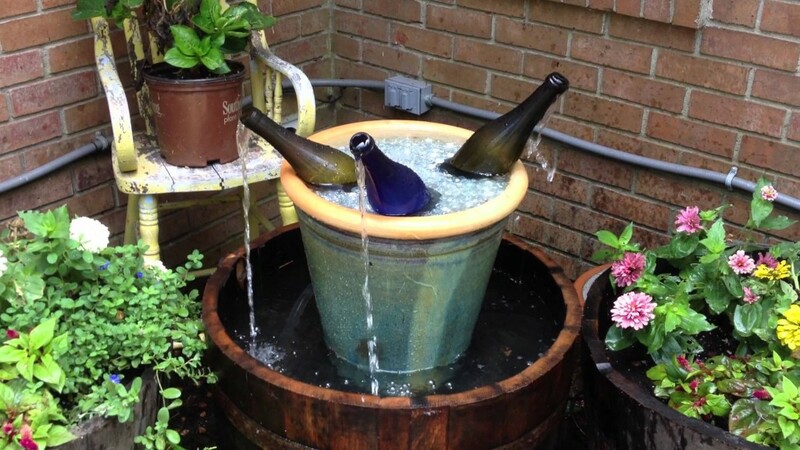 The fountains flow from the open tops of three wine bottles positioned in the planter. 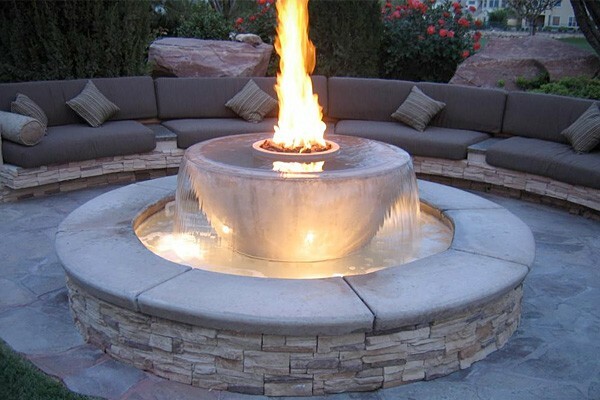 This is a beautiful fountain with underwater lighting, a wide rim to sit on, and a small but amazing fire bowl in the center. 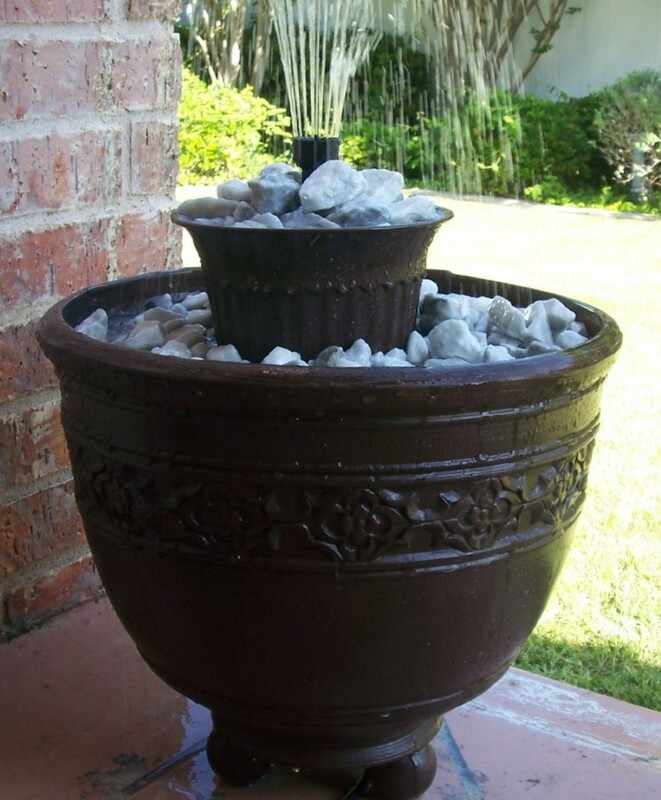 This is a fantastic display piece that doubles as a water feature and as a bonfire when guests are over. Perfect to be enjoyed both day and night! Position a large sectional around it to ensure you have plenty of seating. 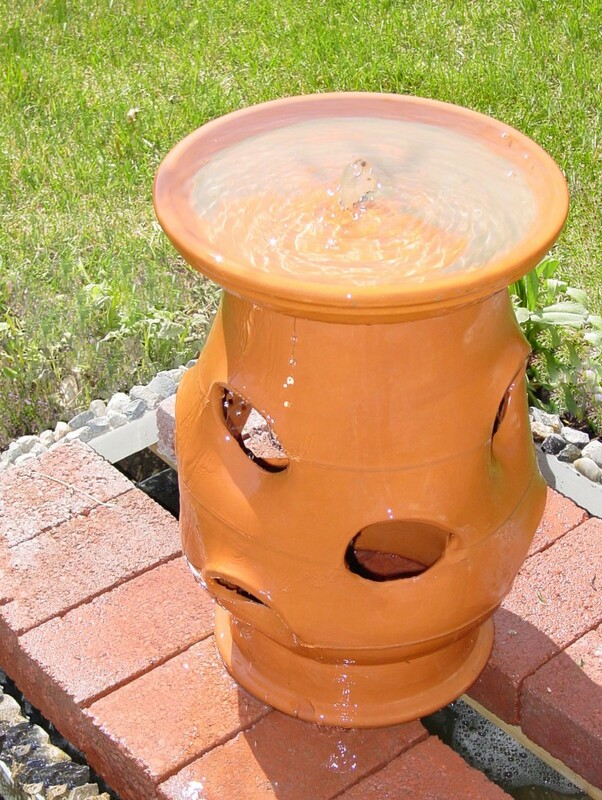 This lovely fountain is constructed from a strawberry planter. 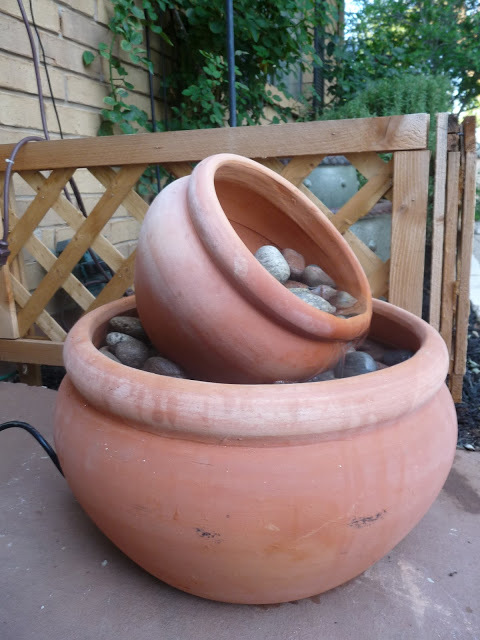 The terra cotta planter is positioned above a small reservoir on top of two brick supports. Water bubbles out of the shallow bowl at the top and flows down the sides of the strawberry planter, rolling off of the many curves. The water then rolls over the brick supports and into the reservoir below. 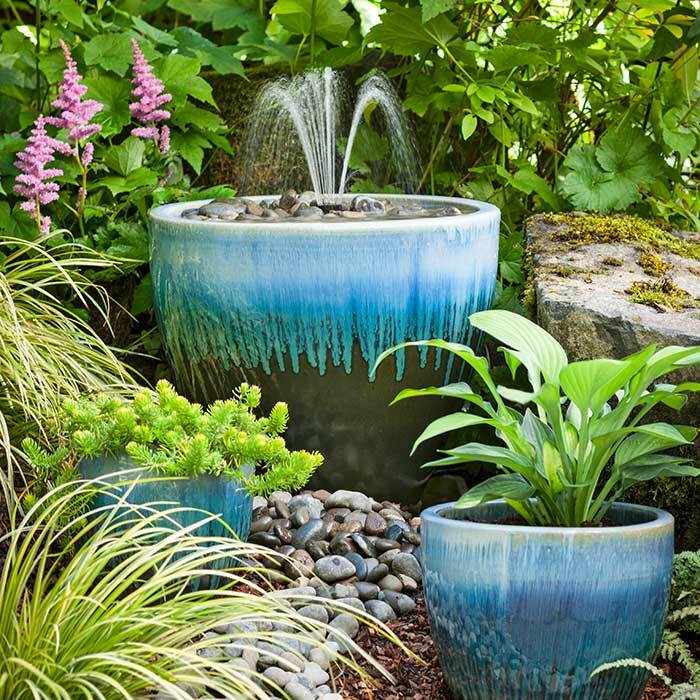 These colorful planters have bubbling fountains rising from the narrow mouths, without any water ever dribbling down the sides. Each fountain is nestled inside of a larger garden planter and rimmed with bright green ground cover. Just gorgeous! 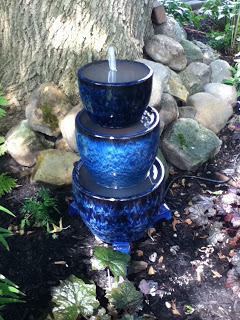 This fountain may look simple, but it’s a lovely tabletop or patio fountain that’s easy to construct. The single fountain stream splashes over the piled rocks, providing your relaxation space with plenty of soothing ambient sounds. And it’s small enough that you can take it indoors during the winter so that it doesn’t get damaged. 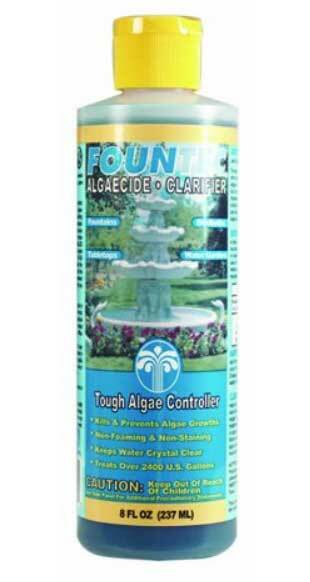 Check out EasyCare FounTec Algaecide and Clarifier. 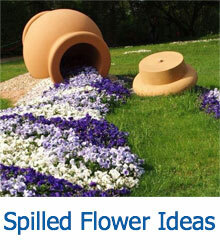 Works great in any water feature you have in your garden.